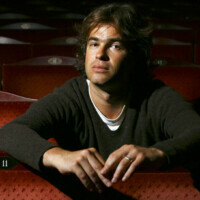 Rupert Goold has been announced as the next artistic director of London’s Almeida theatre. The acclaimed director, who will step down as artistic director of Headlong theatre after eight years, will take up the post at the 325-seat venue in August, succeeding Michael Attenborough. His first season will start in January 2014. The appointment is a major coup for the Islington theatre. Goold has become one of the biggest names in British theatre following a string of bold and inventive productions. He was frequently tipped as a potential successor to both Nicholas Hytner at the National Theatre and, until Gregory Doran’s appointment last year, Michael Boyd at the Royal Shakespeare Company. The news means that Goold’s final Headlong production, a musical adaptation of Bret Easton Ellis’ novel American Psycho, will move into the Almeida shortly after the director does. He directed Stephen Adly Guirgis’ The Last Days of Judas Iscariot as a co-production between Headlong and the Almeida in 2008, and the two organisations are reuniting for Lucy Kirkwood’s Chimerica this spring. Goold restored the fortunes of Northampton’s Royal and Derngate before relaunching the Oxford Stage Company as Headlong theatre in 2005. Under his leadership, the company has won 12 major awards out of 46 nominations, with a combination of new writing and intelligently tinkered classics. Among its biggest hits are Enron and The Effect by Lucy Prebble, Six Characters in Search of an Author and Mike Bartlett’s Earthquakes in London. However, Goold’s tenure has also embraced risk, producing radical revisions of Dr Faustus, Three Sisters and Medea en route. He has also fostered a stable of emerging talent, including NT associate director Ben Power, designer Tom Scutt and playwrights Prebble, Bartlett and Ella Hickson. The company will start recruiting a new artistic director immediately. Michael Attenborough, who announced he was stepping down to focus on his own directing work, said: “I can pay Rupert no higher compliment than point to the fact that we are co-producing two shows with his company Headlong (one of which he is directing himself) during my final season up to the end of 2013.